WHERE TO FIND CHEAP ACCOMMODATION IN Hamilton. The hub of the Waikato region teaming with job opportunities and a top nightlife scene in New Zealand, Hamilton has many draw cards for backpackers. 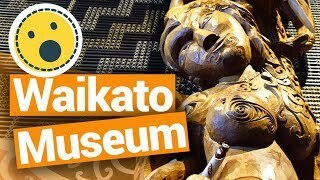 Whether it’s a quick night’s stay checking out the Hamilton Gardens and Waikato Museum or sticking around for work as part of your working holiday, you’re going to need to find cheap accommodation in Hamilton. Because Hamilton is split into many districts, we have put together a quick list of the districts where you are likely to find some cheap accommodation, as well as outlining how far away they are from the city centre. This accommodation guide to Hamilton is also split into accommodation types, so you can just skip straight to your preferred accommodation style! So find a place to stay in Hamilton using our nifty accommodation guide to Hamilton! 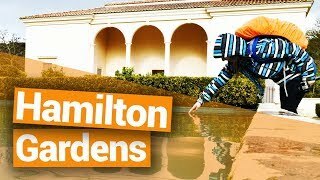 WHICH Hamilton DISTRICT TO FIND ACCOMMODATION? There is accommodation found all over Hamilton. Here’s a quick rundown on what to expect in each Hamilton suburb in relation to Hamilton’s city centre. For more about Hamilton, check out Waikato – Guide for Backpackers. Note: CBD refers to “Central Business District” i.e. Hamilton city centre. Hamilton Central – Location: city centre, Distance from CBD: you’re in it, Average weekly rent for a room: NZ$150, Average hostel night: NZ$27-$30. Hamilton East – Location: east of the city centre, Distance from CBD: 5min drive/20min walk, Average weekly rent for a room: NZ$115. Hamilton Lake – Location: south of the city centre, Distance from CBD: 4min drive/20min walk, Average weekly rent for a room: NZ$145, Average hostel night: NZ$30. Frankton – Location: west of the city centre, Distance from CBD: 7min drive/27min walk, Average weekly rent for a room: NZ$130. Dinsdale/Western Heights – Location: west of the city centre, Distance from: 9min walk/50min walk, Average weekly rent for a room: NZ$120. Nawton – Location: northwest of the city centre, Distance from CBD: 10min drive/1hour walk, Average weekly rent for a room: NZ$135. Whitiora – Location: north of the city centre, Distance from CBD: 5min drive/18min walk, Average weekly rent for a room: NZ$155. Forest Lake – Location: north of the city centre, Distance from CBD: 8min drive/40min walk, Average weekly rent for a room: NZ$130. Claudelands – Location: northeast of the city centre, Distance from CBD: 5min drive/20min walk, Average weekly rent for a room: NZ$110. Hillcrest – Location: east of the city centre, Distance from CBD: 10min drive/1hour walk, Average weekly rent for a room: NZ$105. Fairfield – Location: northeast of the city centre, Distance from CBD: 6min drive/30min walk, Average weekly rent for a room: NZ$135. Chartwell – Location: north of the city centre, Distance from CBD: 8min drive/50min walk, Average weekly rent for a room: NZ$130. Te Rapa – Location: north of the city centre, Distance from CBD: 10min drive/1hour walk, Average weekly rent for a room: NZ$150. Pukete – Location: north of the city centre, Distance from CBD: 13min drive/1h20min walk, Average weekly rent for a room: NZ$120. Rototuna – Location: city centre, Distance from CBD: 13min drive/1h30min walk, Average weekly rent for a room: NZ$140. Melville – Location: south of the city centre, Distance from CBD: 6min drive/40min walk, Average weekly rent for a room: NZ$140. There are 4+ hostels in the city of Hamilton, all of which are either within the city centre or in very close walking distance. Check them out at 5 Best Backpacker Hostels in Hamilton. Because of the limited number of hostels in Hamilton, make sure you book your night in advance, especially during the peak season (summer) or during event weekends, such as Balloons Over Waikato (usually around 20-31st March). 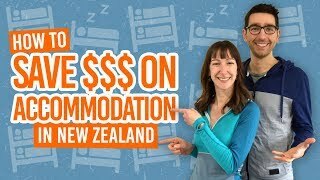 Expect a night in a Hamilton hostel to be NZ$27-$30 per dorm-room bed. You can always keep the cost of living down along with an extended stay by working for accommodation in a Hamilton hostel. For tips, have a look at How to Find Work for Accommodation in New Zealand. Renting a room is common practice in Hamilton to keep the price to minimum when staying in Hamilton long-term, usually done if you have landed a job in Hamilton as part of a working holiday. Expect room prices to be around NZ$130 per week. That’s a room to yourself in a flatshare or houseshare. 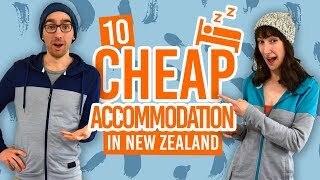 You may find cheaper, around the NZ$115 per week mark, for a shared room. For advice on how to find a room to rent in Hamilton, have a look at our 6 Resources to Find a Room to Rent in New Zealand. Renting a room involves a more complicated process than staying in short-term accommodation, so get clued up by reading The Paperwork Process of Renting or Flatting in New Zealand. Although the average price for a room in Hamilton is NZ$101 per night, it is possible to find accommodation around the NZ$25-$41 price range across the Hamilton suburbs, such as Hamilton East, Frankton, Hillcrest, and Rototuna. We’ll help you toward your first Airbnb stay with this FREE NZ$50 credit. Consider an AirBnB room for more convenient suburban location and something different from the hostel experience. 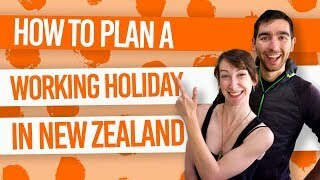 For more information about Airbnb, check out Everything You Need to Know About Airbnb in New Zealand and 10 Tips to Make the Most of Airbnb in New Zealand. There are limited options for commercial holiday parks and freedom camping spots within the city of Hamilton. If you have a certified self-contained vehicle, you are welcome to freedom camp at Porrit Stadium and the Classic Museum car park. For advice on local laws of freedom camping in Hamilton, see Freedom Camping Rules in New Zealand: Region by Region. Power sites and tent sites along with other facilities can be found at the Hamilton City Holiday Park in the Claudlands area. Expect to pay between NZ$34-40 per night for a powered site or tent site. Campervans can park up at the Glenview Club in Melville to use their non-powered sites (NZ$10) or powered sites (NZ$15).